I've been so busy lately that I haven't had any time to queue up posts—and, I have to admit, I haven't been super excited about days 2 and 3 of the 31 Day Challenge. Orange is one of my least favorite colors (second only to yellow! ), so I had a hard time coming up with something I liked okay that featured orange prominently. I know that's the whole point of the challenge, however, so here we go! 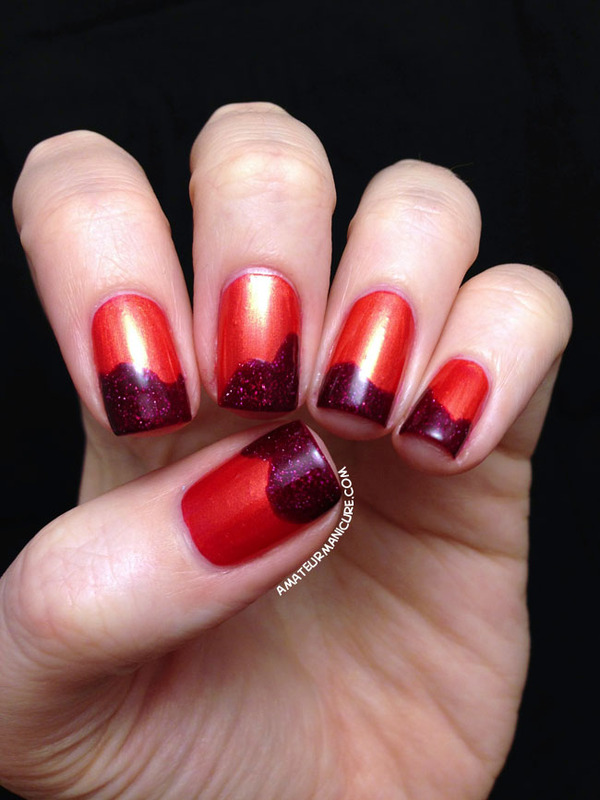 When thinking about orange as an inspiration, I kept thinking about blood oranges, so that's what was in my head when I did this manicure: the vibrant orange of the rinds and the ruby red fruit inside. 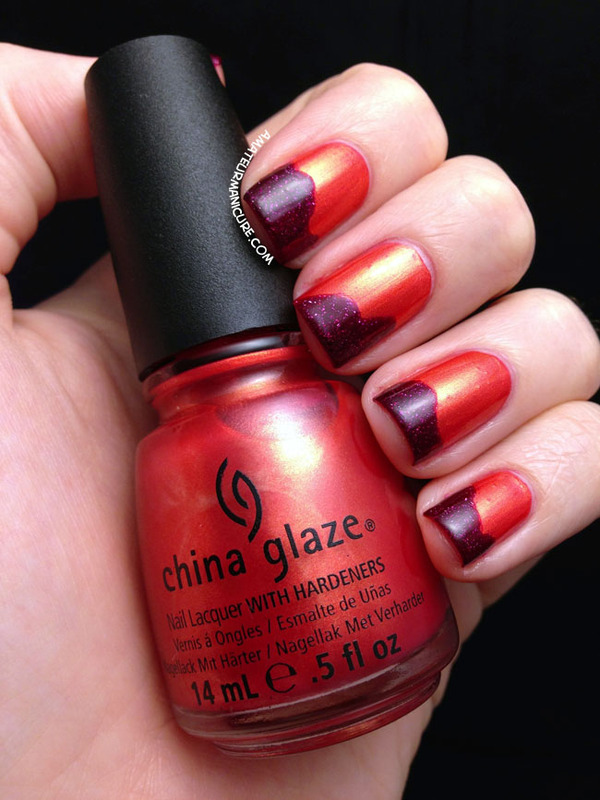 The base color here is China Glaze Jamaican Out and the bloody red tips are Zoya Blaze. After the base color dried, I used a nail art brush to roughly outline the wavy edges of the accent color and then filled them in with the brush from the polish bottle. The color palette here still isn't my favorite, but I do like the way this kind of looks like I had a plain orange manicure and then started digging into the juicy insides of a blood orange. Also, Blaze is a really gorgeous, sparkly polish and my camera didn't really do it justice here.